Professor Amy J. Schmitz joined the University of Missouri School of Law faculty as the Elwood L. Thomas Missouri Endowed Professor of Law in 2016. Previously she was a professor at the University of Colorado School of Law. Prior to teaching, Professor Schmitz was in private practice with large law firms in Seattle and Minneapolis. She also served as a law clerk for the Honorable James B. Loken, Chief Judge of the U. S. Court of Appeals for the Eighth Circuit. 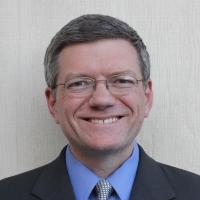 Professor Schmitz teaches courses in Contracts, Lawyering, Dispute Resolution in the Digital Age, Major Research Projects, Secured Transactions, Arbitration, International Arbitration, and Consumers and the Law (service learning). Her current research explores online dispute resolution in varied exchange contexts, with special focus on consumer claims and means for consumers to obtain remedies. She also has been active in recent debates regarding consumer protection more generally, consumer arbitration and contracting behavior, and is often an invited speaker on these topics. Recent speaking engagements include events at the Consumer Financial Protection Bureau in Washington, D.C.; University of Leicester in England; University of Ghent in Belgium; Stanford Law School; University of Arizona Law School; Pepperdine Law School; University of California Hastings; Loyola in Chicago; Wake Forest University; Fordham University; Penn State; and American Bar Association Meetings. 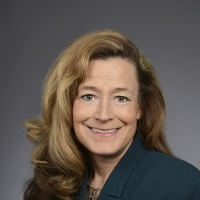 She also serves on the Association of American Law Schools Executive Committee on Commercial and Related Consumer Law, and has been an Amici in several United Supreme Court cases involving arbitration. She also has taught in Paris and in England, and has been an expert and liaison for the United Nations working group seeking to create a global online mechanism for resolution of e-contract disputes. Professor Schmitz’s outreach work involves various projects, including production of a consumer film (“Fine Print Foils”), a non-profit consumer outreach website and companion app, and various service-learning courses. Her most recent service-learning projects have led to a consumer empowerment blog and free public seminars on pressing consumer issues through a joint project with the Boulder County (Colo.) Community Services. This work aimed to provide the public with valuable information while inspiring the student presenters from Professor Schmitz’s Consumers and the Law classes to gain deeper understandings of consumer and contract law “in action.” Students in Professor Schmitz’s service learning classes at the University of Colorado also created written materials and presentations covering consumer topics. Colin Rule is Vice President for Online Dispute Resolution at Tyler Technologies. Tyler acquired Modria.com, an ODR provider Colin co-founded, in 2017. From 2003 to 2011 Colin was Director of Online Dispute Resolution for eBay and PayPal. He has worked in the dispute resolution field for more than two decades as a mediator, trainer, and consultant. He is currently Co-Chair of the Advisory Board of the National Center for Technology and Dispute Resolution at UMass-Amherst and a Non-Resident Fellow at the Gould Center for Conflict Resolution at Stanford Law School.